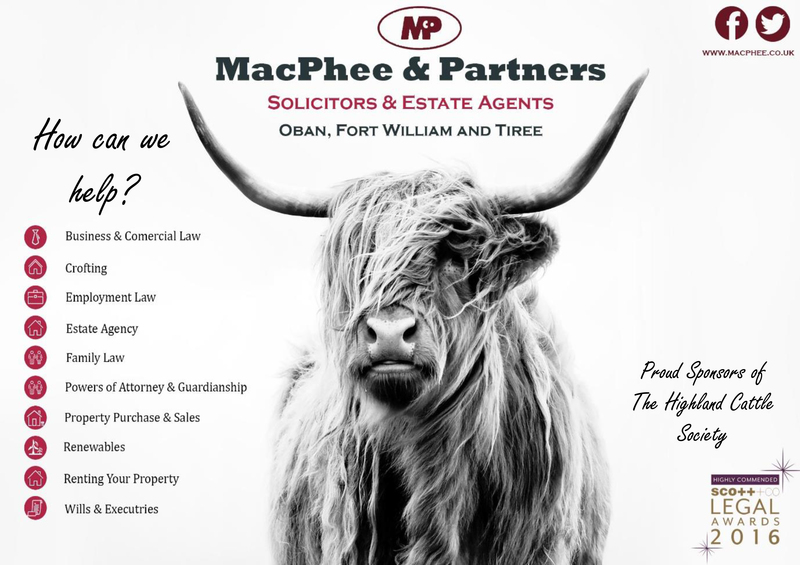 Once again MacPhee and Partners will be sponsoring the Highland Cattle Society at their 126th Annual Spring Show & Sale in Oban on 12th & 13th February 2017. This is a great family day out and to top it off MacPhee and Partners are donating a luxury hamper. The winning name will be drawn in the ring after the show finishes on 12th February. To enter simply put your business card or name and telephone number in the bowl located in the corridor.